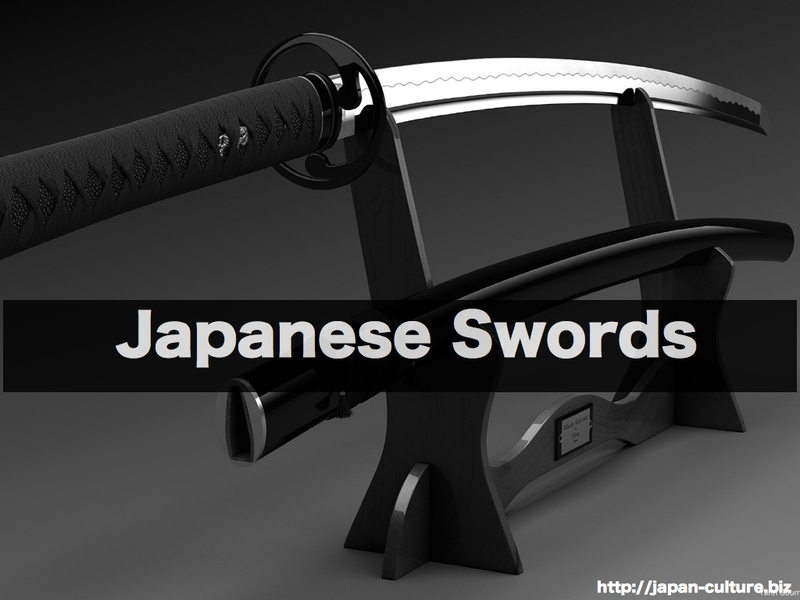 The Japanese sword has a curved blade with a single cutting edge. Made by a special process that includes hammer-forging, hardening and quenching hot raw steel made by smelting sand iron, the sword is characterized by its great spring-like toughness and its extremely sharp cutting edge. The art of swordmaking came to Japan from China and Korea. The early swords, what are today called ancient swords, were straight (and sometimes double edge), the curved blade not appearing until the ninth century. Swords made between the ninth and twelfth centuries were much wider across the base than the tip and were curved sharply near the base. It was also during this period that swordmakers began stamping their names onto the swords they made. Today, while there are many unmarked swords from the period, in many cases they are accredited to specific swordmakers on the basis of distinguishing feature in the craftmanship. Early in the thirteenth century, swords began to undergo modifications to meet the needs of the samurai. The blade was made broader and the difference in breadth between the base and tip was reduced. The tip was given a sharper angle and made shorter. 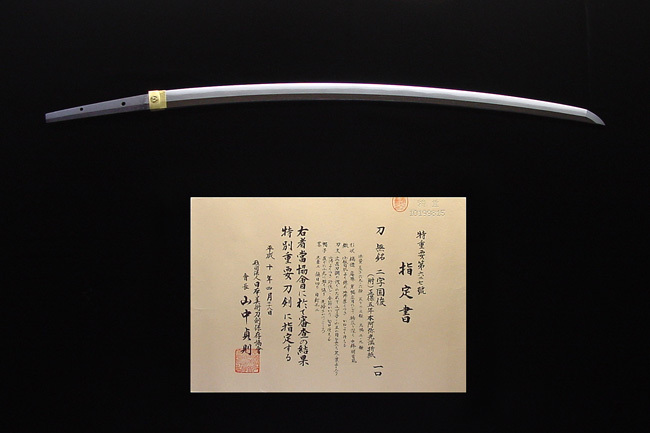 These changes enhanced the splendor of the weapon and marked the beginning of the golden age of the Japanese sword. Swords made up to about the end of the sixteenth century are classified as “old swords” and those made after this time, as “new swords.” New swords have a border blade that is only slightly curved, and a long, narrow tip. 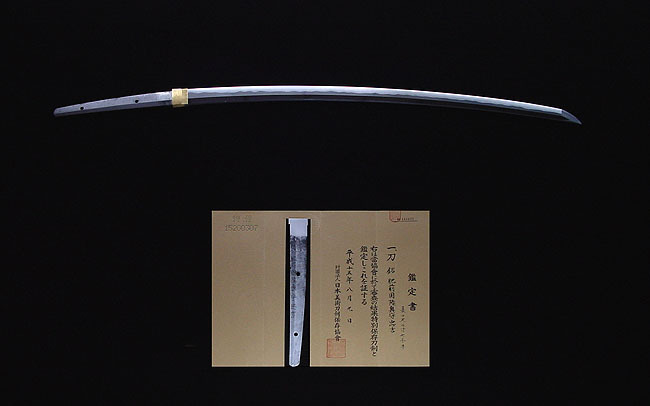 As the sword was considered to be the very soul of the samurai and became the symbol of the warrior class, many specimens show superb craftmanship. Since the end of World War II, the Japanese sword has come to be regarded solely as an object of art, often to be treasured for a sense of tranquility found in its cold, serene beauty. 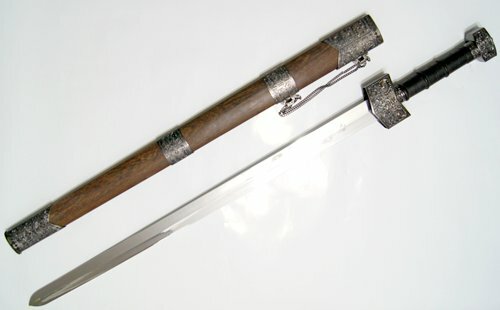 One has to obtain a permit to own a sword in Japan.